If you’re a photographer that does most of your editing in Lightroom 3 Reasons All Photographers Should be Using Adobe Lightroom 3 Reasons All Photographers Should be Using Adobe Lightroom A lot of people aren't quite sure where Lightroom fits into things. It's an image editor… but it's not as good as Photoshop? Here's everything explained. Read More , with the use of a little plugin, you can also publish your photos straight into Instagram right from your desktop. 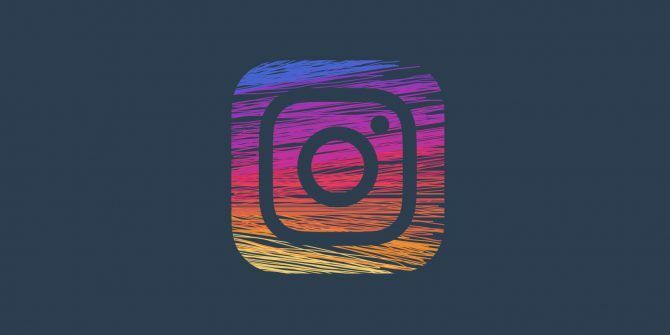 If you don’t use Instagram’s filters or editing features, and aren’t planning on adding multiple photos to one post, you can use LR/Instagram plugin to add captions and publish your photos. The plugin is shareware, meaning you can downloaded it for free to test it. If you plan to continue using it, you can register it for $10. File > Plugin Manager or use the keyboard shortcut Shift + Alt + Cmd + Comma. Navigate to the extracted plugin on your computer. Click on the file and click Add plugin. Go to the Library screen in Lightroom and on the left scroll down to find Publish Services. (If you’re not seeing Publish Services, go to Window > Panels > Publish Services to open it. You should see LR/Instagram in the list of publishing options. Click Set up. Under Instagram Account enter your username and password and click login. Once you’re logged in, click Save. Other settings you can adjust after you’ve logged in to your Instagram credentials includes limiting the number of photos you post at a time and determining whether deleting the image in Lightroom will delete it from Instagram. In Library view, navigate to the image you’ve edited. In the panel under the right find Metadata and in the dropdown menu at the top of the panel, select LR/Instagram. Drag the image(s) you want to publish to the LR/Instagram folder under Publish Services. Click on the Instagram photos folder and click Publish. If you’re looking for a way to publish your photos from your desktop computer but don’t use Lightroom, you could opt for this Chrome trick to post directly to Instagram Use This Trick to Post to Instagram With Chrome Use This Trick to Post to Instagram With Chrome Chrome users can take advantage of this little trick that lets you post to Instagram without a mobile device. Read More . Explore more about: Adobe Lightroom, Instagram.